Do Higher Net Worth Divorces Receive Higher Tax Consequences In New York? 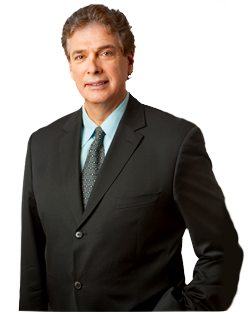 Divorce in general is a long, difficult, and complex procedure in almost every case. When there is more money, more assets and additional property included, it only makes things more complicated. Because of the fact that there is substantially more money involved, key divorce topics like spousal and child support and distribution of assets are all affected. Because property is being distributed and divided, and since you may have assets in your name, it is highly likely that there will be a change in your yearly taxes. You should consult a lawyer as opposed to an accountant, because they may not be as familiar with the legality as an attorney would be. If you and your former spouse filed a joint tax return while you were married, you will now have to change your filing status as you are no longer together. In addition, when child custody has been finalized, you and your former spouse must decide who will get the tax exemption for the minor. If you and your spouse cannot come to an agreement, factors such as who has custody and the accumulated duration of time that each parent spends with the child can be used to decide which party can claim the tax exemption. With regard to a high net worth divorce, there is an accepted notion that it is fairly common for one of the parents to earn a considerably higher income. When this is the case, the lower-income earning spouse will often ask for alimony, otherwise known as spousal support. They may argue that they have grown accustomed to a certain lifestyle, or that they cannot live off the income they earn (if they even have a job). If alimony is awarded, tax laws apply here as well. The parent who has to pay the alimony can claim the ordered amount as a deduction on their tax return. Moreover, the receiver of the alimony must report this support as part of their income on the tax forms. Beyond alimony, there are other sources of income that may come into play during the divorce proceeding. If you sell the marital home or property that had been jointly owned during the marriage, there are capital gains taxes that must be reported. If you withdraw from a retirement fund earlier than agreed upon with your bank, there are tax penalties for that as well. Lastly, if you have any stocks, bonds, or any other types of investments that were shared assets, and you sold them, you have to claim that as income as well on your tax returns. Although these seem like routine parts of divorce, it is imperative to remember that any and all bases of income are reported for tax purposes.